Interview with Angela Farmer and Victor Van Kooten: "The unique way"
Angela Farmer and Victor Van Kooten, who are based on the island of Lesvos in Greece, have been teaching together since they met more than 25 years ago. Their teaching style is playful, emotionally freeing and deeply personal. Interview with Leslie Kaminoff: "The practice must be adapted to the individual"
​Tao Porchon-Lynch, Master Yoga teacher, 95 years young, has over 70 years of yoga practice and more than 45 years of teaching yoga to students in India, France and the U.S.
Dr. Robert E. Svoboda is an American author and ayurvedic doctor who gives lectures and courses around the world, related to the subjects of ayurveda, jyotish, tantra and Eastern religion. 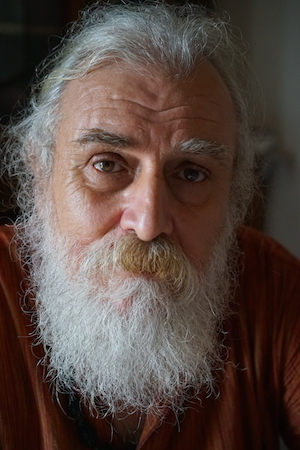 He is author of eleven books, including Prakriti: Your Ayurvedic Constitution (1989), and the Aghora trilogy (1986, 1993, 1997) about his mentor, Vimalananda, and the Aghori sect. 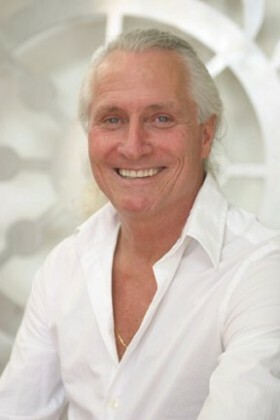 Rampuri Baba "Westerners are constructing their own yoga and tantra"
Interview with Mukti, Michael Buck: "Thai massage - a sacred art or improvisation"